Chances are you have a bottle of balsamic vinegar on hand. But do you know all the incredible things you can do with it? Get inspired with these seasonal ideas to make the most of balsamic vinegar this summer. An Italian invention, balsamic vinegar is widely available in most supermarkets and comes in a variety of flavors and qualities. Its tangy, mildly sweet taste makes it a wonderful addition to salad dressings, marinades and even desserts! The most common use for balsamic vinegar is in a salad dressing. A simple mixture of extra virgin olive oil and balsamic vinegar makes for a healthy and delicious basic vinaigrette. To make a creamy balsamic vinaigrette, blend together balsamic vinegar, olive oil, a dash of mustard and some grated Parmesan in a food processor. Try adding in other ingredients for a more inspired dressing — like this maple balsamic dressing, orange and balsamic vinaigrette or molasses and balsamic vinaigrette. Besides being great in salad dressings, balsamic vinegar also makes an amazingly flavorful marinade. The acid helps break down tough cuts of meat, as in this grilled balsamic and garlic marinated steak. More tender cuts of meat can be flavored with a quick marinade, like this grilled balsamic chicken. Balsamic vinegar is also great reduced and brushed on salmon or as a glaze for ribs. And to make any meal feel fancier, prepare a balsamic vinegar reduction. Simply simmer balsamic vinegar for about 10 minutes until it has reduced and is a thick, syrupy consistency. This concentrates the flavor and is excellent drizzled over meats or grilled vegetables. Try this beef tenderloin with red wine balsamic reduction or this summery and vegetarian caprese tart with herbed ricotta and balsamic reduction. 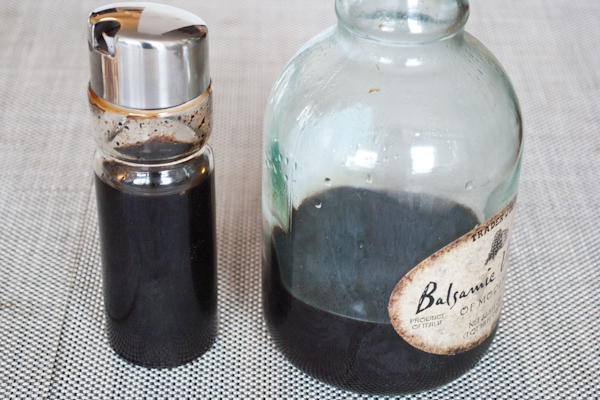 As much as you love balsamic vinegar, you may not have thought to drink it before — but why not? The sweet flavor can be an unexpected and delicious addition to cocktails, especially when incorporated into a simple syrup. Try this strawberry balsamic simple syrup next time you’re hosting a cocktail party, and be ready to impress your guests! The Desmo cocktail and this fun take on a Bloody Mary also incorporate balsamic vinegar. The sweetness of balsamic vinegar is also exactly what makes it a beautiful ingredient to use in creative desserts. 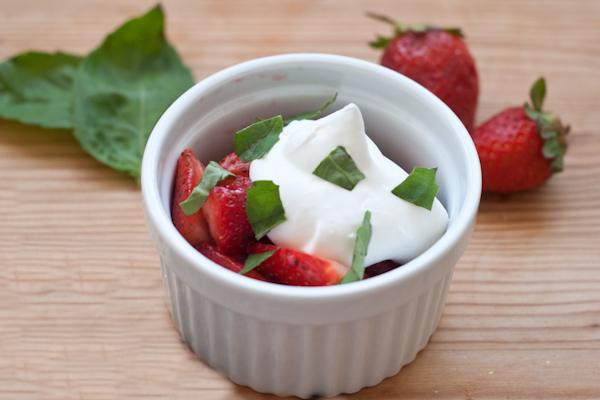 It pairs naturally with strawberries, so this panna cotta with strawberries in balsamic sauce and simple balsamic strawberries (recipe below) are naturals. It’s also great in this cozy recipe for warm balsamic and caramel apples, which is perfect any time of year. Put the strawberries into a bowl and toss with the sugar. Allow to macerate for 10 minutes at room temperature. Add the balsamic vinegar and lemon juice. Lightly toss and allow to sit for another 10 minutes. Spoon into four bowls or glasses and top with whipped cream and torn mint, or spoon the mixture onto pound cake or vanilla ice cream. What’s your favorite use for balsamic vinegar? Let us know in the comments below!